One of the great things about my job is being able to help people celebrate special milestones in life…with cake! 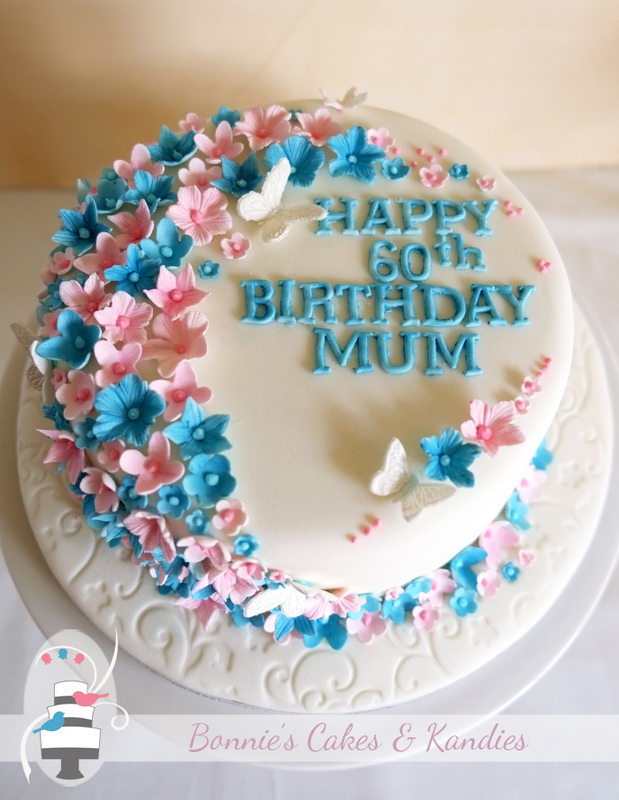 One of my valued repeat customers asked me to create a chocolate mud cake for his mum’s 60th birthday. 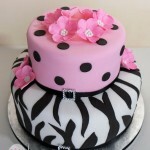 The design chosen was based on a cake by Fancier Cakes. 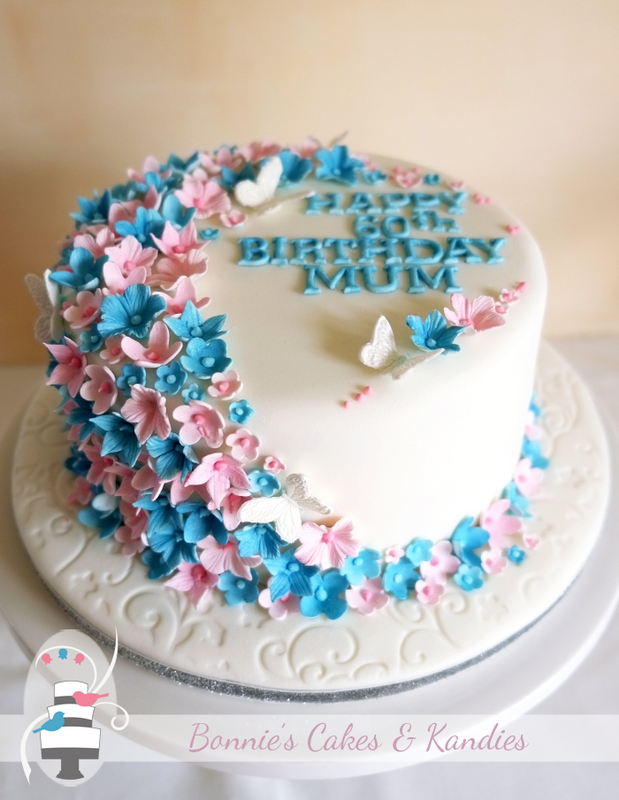 It featured edible flowers and butterflies in shades of pink and blue, and a textured fondant covering on the baseboard. 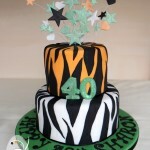 Also for a 60th birthday celebration, I was excited to create the cake below for another repeat customer. The flavour chosen was a refreshing, gluten free pineapple and coconut cake – yum! 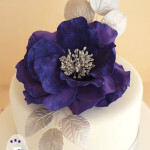 I’ve made countless icing flowers over my years as a cake decorator, but until this cake, I had never made this style of rose before. 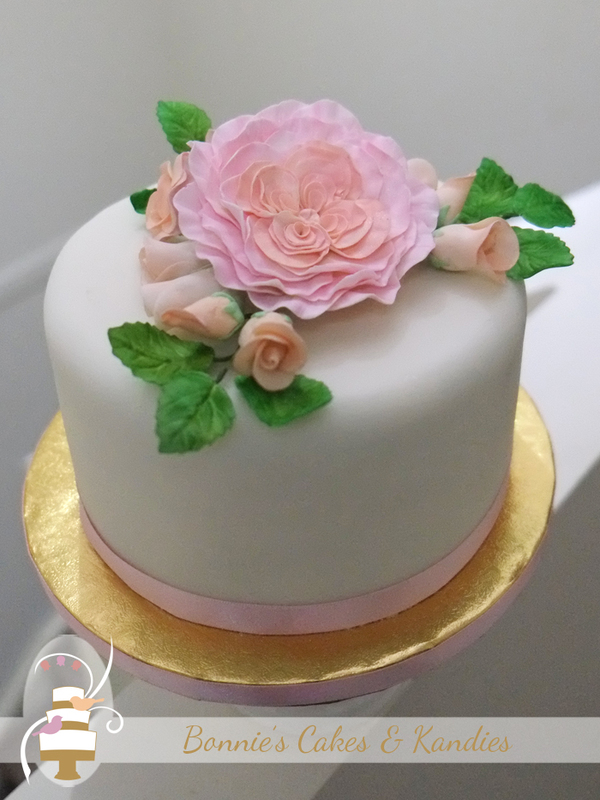 I was asked to make a nice spray of flowers in a ‘pinky-apricot’ colouring for the top of the cake, and you can see the result below! 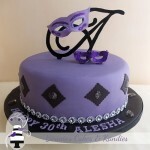 Whether for a 60th birthday, a 1st birthday, for weddings, anniversaries, or even graduations – it is a joy to create cakes for all occasions and help my customers to celebrate all the special milestones in life. Do you have a special milestone or celebration coming up? Are you looking for a special cake? 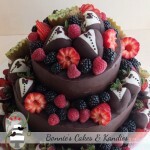 I’d love to talk about the delicious options and designs we can create to make your celebration even more memorable!